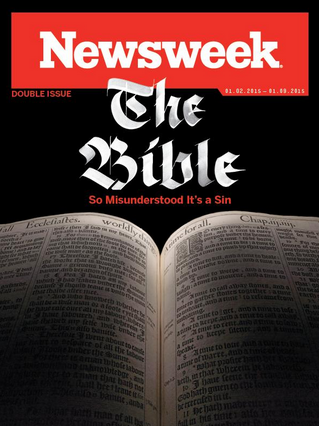 By now you have heard about Newsweek magazine and their take on the Bible. Kurt Eichenwald, normally a contributing editor of Vanity Fair, levies a scathing criticism not only of the scriptures but also the evangelical Christians that believe in them. The entire piece is an attack on the faithful, or as Eichenwald seems to see them, anyone stupid enough to still believe. There have been many well-worded responses from the Christian perspective and I will not endeavor to write another here. Southern Baptists may have read Al Mohler’s response, cited many times in this Baptist Press article. 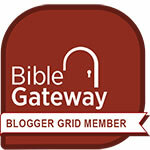 I recommend this post by Daniel Wallace, linked to last week on Twitter by Bible Gateway. Wallace offers a very systematic, well thought out and scholarly response to not just the content but to Eichenwald’s methodology. But here is my take – no matter how many thoughtful responses are written are by Christians, the damage is done. “In the end, ‘this article is likely to do far more damage to Newsweek than Christianity,’ Mohler wrote.” That doesn’t matter. Newsweek may crash and die (again) but the battle is not between established Christianity and this magazine, it’s between those that share the Gospel and those that read this particular magazine. The battlefield is the same field that is white unto harvest. The next time a respectable Christian lady working in an office invites her co-worker to church, that person may well think “I know all about Christians. I wouldn’t sit foot in that or any other church.” The next time I’m a public place, maybe the checkout line at the grocery story or in my local tag office, and introduce myself as a church pastor one or more people may recoil and decide to stand in a different line before I have the chance to be friendly and act Christ-like towards them. We may win the battle against Newsweek magazine, Kurt Eichenwald, and whoever comes down the pike next while loosing the war (terrible analogy) of bringing the lost to Jesus. Many of the un-churched populace who have not yet made a decision may be making their decision now based on the Jan. 2 Newsweek article. It’s like an 8 page tract for atheism. The people who read the article in Newsweek are not the ones reading Al Mohler’s blog, Baptist Press, Daniel Wallace, The Master’s Table or any other Christian news, blog or website. Christians read the article and discuss amongst ourselves how and why it is wrong. Nonbelievers read it and think “Oh that’s terrible” and never hear our well thought out responses. They may never know how wrong Eichenwald is about the Bible if he is their only source of information. This entry was posted in Bible, Christianity and tagged Al Mohler, Bible, Daniel Wallace, Kurt Eichenwald, Newsweek, The Bible: So Misunderstood it's a Sin. Bookmark the permalink. Found your blog article via an aggregate website named, “Christians Anonymous.” They often lift posts from many Christian blogs (including my blog) and share them at their site. It is a bit weird, though. At the top of the page, they have an anti-God, atheistic phrase, yet they link to many Christian blogs that profess biblical Christian faith. I instinctively knew that the News WEAK article would be critical of Christian faith and denounce the truth of the Bible, so I didn’t bother to read their trashy magazine. Thank you for posting the responses of Al Mohler and Daniel Wallace. I plan to read them today when I return from walking my dogs! I have added your blog to my “follow” list. Perhaps you might like to check out my blog. God bless and keep up the good work here! 1) There are aggregator sites that do nothing but repost content from other sites. I’m not exactly sure what some of them get out of it but at least they usually link back to the original source. 2) I linked to a Baptist Press article that excerpts Mohler but there is a link from there back to his blog post. There is another great rebuttal against Eichenwald’s article at Canon Fodder. Eichenwald even showed up to counter the criticism there! Interesting read and very informative comments, too.